Regardless of why you and your spouse have chosen to get a divorce, you may feel like your world is coming to an end. However, life goes on. You have to go to work, take care of the children, and do the other duties that you did before everything changed. These things can be difficult, and you may be overwhelmed by the decisions you are now facing. Consulting with a divorce attorney can help answer your questions during this difficult time. Some of these decisions may include things like which of you will keep possession of the house, how you will decide custody and visitation of the children, and who will be responsible for which bills. These are just a few of the questions couples have, and you don’t want to have to be battling your spouse for the answers for months on end while the divorce is finalized. That’s where temporary orders come into play. Who will stay in the marital home, pay the utilities and mortgage, and handle the upkeep of the home? Who will keep which car, take care of the maintenance of the vehicle, and pay the payments? How will time be divided with the children? Who will pay for expenses of the children such as extra-curricular activities and insurance? Who will make decisions for the children such as healthcare decision, if they need to see a counselor, etc.? Will one of the spouses have to pay spousal or child support, and if so, how much? Not only can temporary orders help answer questions in the beginning of a divorce, but they can also be a starting point for property division. A court hearing for temporary orders will likely happen within a few days of the court receiving your request. There is rarely any testimony, and very little time for discussion, so you will want to ensure that all issues are addressed in your request rather than at the hearing itself. Temporary orders are often signed by the spouses voluntarily without the need for involvement by the judge. Often the orders are signed by both spouses and then the judge simply signs the order. However, if a judge must impose a temporary order, an evidentiary hearing may be held, and testimony will likely take place. 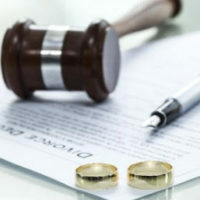 If you and your spouse are facing a divorce and you have a lot of questions about how things will be handled, you need to consult with an experienced family law attorney like those at Lindamood & Robinson, P.C. We have years of experience helping our clients through the difficult and emotional process of divorce and they can help you too. Contact us today in Houston to schedule a consultation.